The video below shows how to find alternative products by adding “vs” after your search term. One of the best software tools to create an E-book or print a book from one or a series of Wikipedia searches. In the video below I created a book on the three IOS devices (iPhone, iPad, iPod). There is also a commercial version that prints the book in color and bounds the book in hard cover. Sometimes you just want to loose your mind in a mindless web search. The Kevin Bacon number fulfills my ambition for the moment. The video below shows a couple examples. It’s been 7 weeks since I installed TV Cable and ETAPA services in my new rental house. I opted for the 6 mb service ($49 per month) with TV Cable. The service has been outstanding and the most down time experienced has been about a total of 2 hours for the 7 weeks. 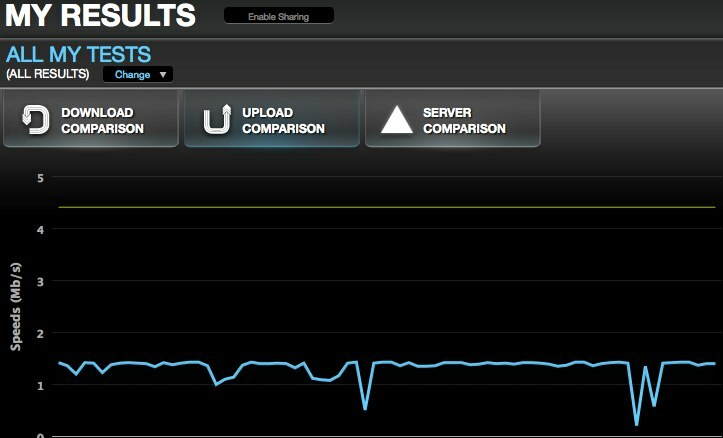 Below is a speedtest. net graph of some recent download tests as compared to the global average. As you can see about 50% of the time I have met or exceeded the global average. I’m very impressed. 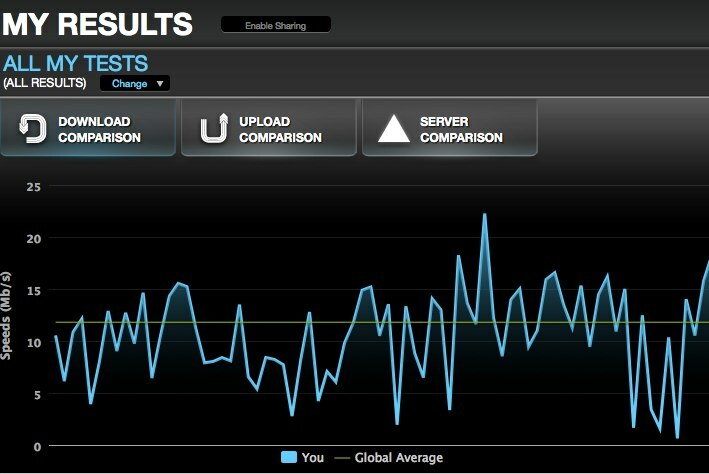 The upload speeds are not as good but are not as important as the download speeds. I have been very disappointed with the ETAPA service in the new rental. I opted for the 1 mb service ($24 per month) with ETAPA. When the service is working I meet or exceed these speeds. Unfortunately, everyday the service goes down for 30 minutes or more each day. I have to travel to the ETAPA office and make sure I speak to a supervisor and clearly explain the situation. Bing offers a simple to use interface to painlessly search for photos in your facebook collection but more importantly search your friends photos or your fan pages collections. Easy straight forward user interface.